We’ve all got them. The people in our lives that we once worked with but now are in our lives by choice. They became friends and actually it’s now hard to think of them ever having been or still being a “colleague”. Several years ago I found myself working at a London law firm as a contract legal PA. We were sat in bays of 4 PAs to get on with the challenges of the day. During our working day there was a camaraderie and we often founds ourselves cursing something or helping out when one of us was busier than the other. But mostly we had a bit of a giggle. We became friends. 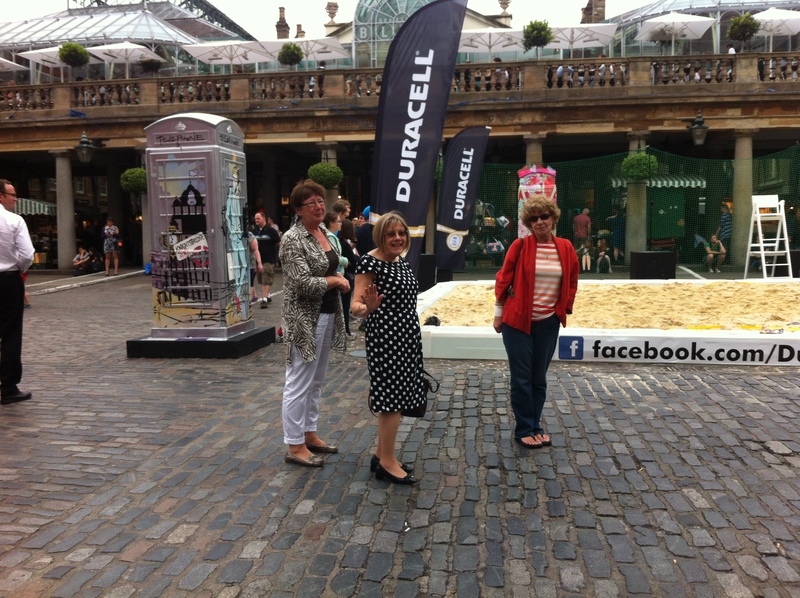 Today I met up with three such friends for a day out in London. One of them made the observation that it was like I was their daughter… something I never really give a thought to, the difference in age. These ladies make me laugh out loud (usually very loudly and with much consternation from others looking on!). It always makes me laugh when I’m the one telling them off for being naughty or irreverent. This usually then has us all in stitches that I’ve suddenly become the adult! We don’t get to meet often but when we do get together, it really is a hoot! What a blissful day. 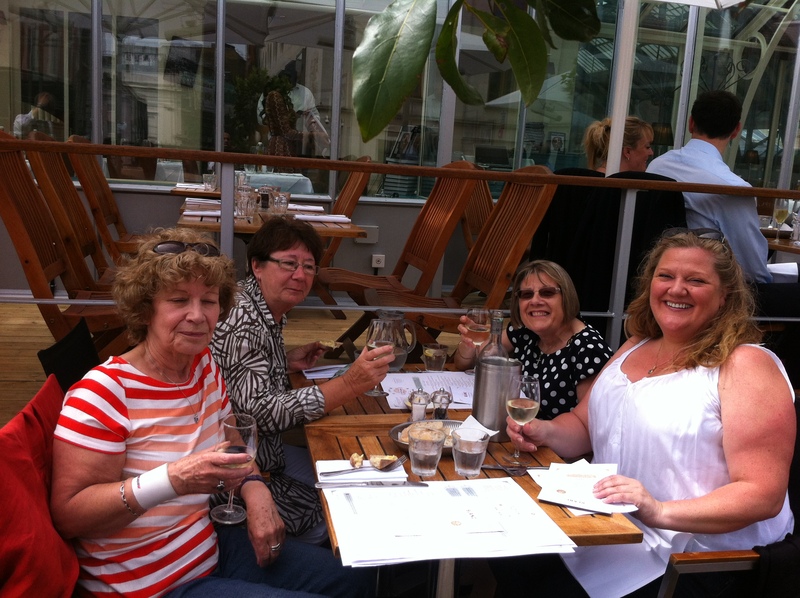 We headed to Brasserie Blanc in Covent Garden for a fabulous lunch. As the sun was shining (for once) we secured an outside table (pretty much by the LL of the Duracell sign in the piccy above). Even the odd spot of rain didn’t deter us from enjoying our meal and I think we were the only diners that carried on eating, drinking and chatting whilst others requested indoor tables. But it really was only a spot or two! 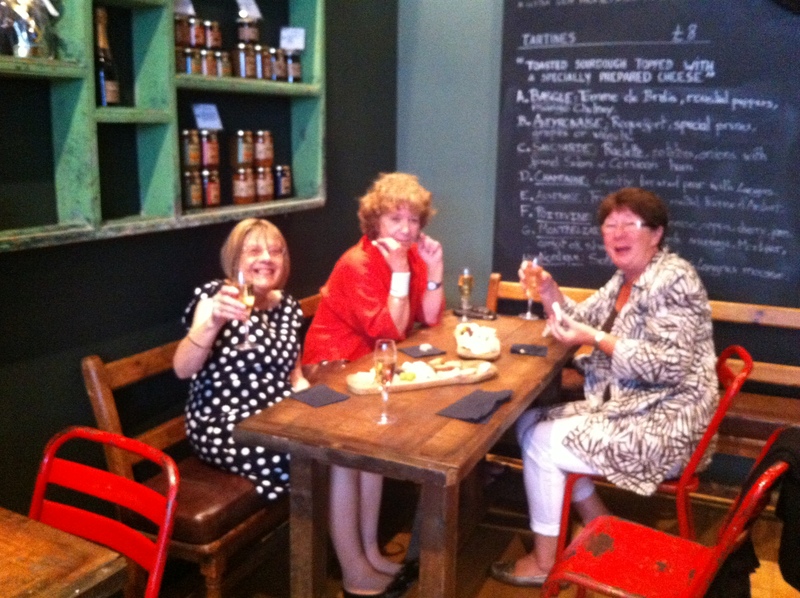 Jan then suggested that we find my new bestest shop in town, Champagne + Fromage. Joan and I had already worked out that instead of a dessert in the Brasserie Blanc we were heading here for our cheese course! And what a delight. Two Three of my favourite things, champagne, cheese & friends. Truly there really is nothing better than great friends. Ones that even though we don’t see each other often, laugh from the first moment we meet until the last and final dash for a train. I’m blessed to have met them all those years ago and to still have them in my life. This entry was posted in Living by AnnaGoAnna. Bookmark the permalink.